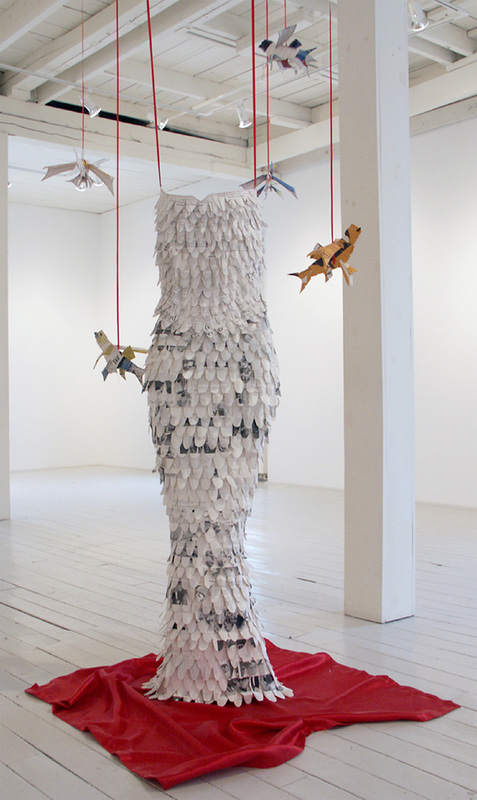 Ophelia is a dress constructed from books on mothering. More specifically: What to expect when you are expecting, Mothers and infants, Mothers and toddlers. The Installation view also features a swarm of flying fish that are built from children’s books on aerodynamics, wind, and gravity.